Phil Walsh was born in Toronto, Canada. He had to somehow grow up with little to no guidance within his family - practically abandoned. He felt chronically unsafe and fearful. The fear drove him to find safety and security through the educational system since it was the only route he knew. He has supported himself financially since his teen years. He is a graduate of McGill University Medical School in Montreal, Canada, and has been a general medical practitioner since 1967. Most of his general medical practice has been in rural and remote areas in British Columbia and Ontario, Canada. 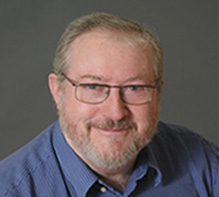 Dr. Walsh received certificate trainings in psychodynamic psychotherapy, cognitive behavioural therapy, interpersonal psychotherapy, trauma counselling and Primary Care Psychiatry. He has practiced as a psychotherapist for many years. He has certificate training as a Life Coach and is certified as a Trainer in Neurolinguistic Programming. He worked as a physician on a Native Reserve for a few years in the Naas Valley in remote northern B.C., and more recently, in the early 2000’s, he was asked by one of the Native tribal councils to work in the Sioux Lookout area in Northern Ontario as a ‘Primary Mental Health Care’ practitioner on two reserves that were suffering from 'suicide epidemics’. His life’s journey also took him on a deep internal search, a personal vision quest. As a result of that process he created, teaches and practises his own form of self-help called AutoSomatic Training. On his internal quest, he stumbled into AutoSomatic Training on a journey through loneliness, fear, pain, terror, frustration, procrastination, confusion, shame, anger, and rage. Deep in his core he discovered, after working through many memories of his personal history, all the way back to infancy and the womb, that all he ever wanted or needed was to love and be loved – just like everybody else. Perhaps the most startling discovery through his internal quest using AutoSomatic Training™ was that God, The Great Spirit, The Holy Spirit, Love, could be found deep inside himself and deep inside every one of us. He has had the delightful experience of coaching others as they too discover the same Presence. His main work now is to promote AutoSomatic Training™ through individual and group coaching and training.